Leading doctors, academics and policy professionals from 27 organisations have contributed analysis and jointly authored the report. 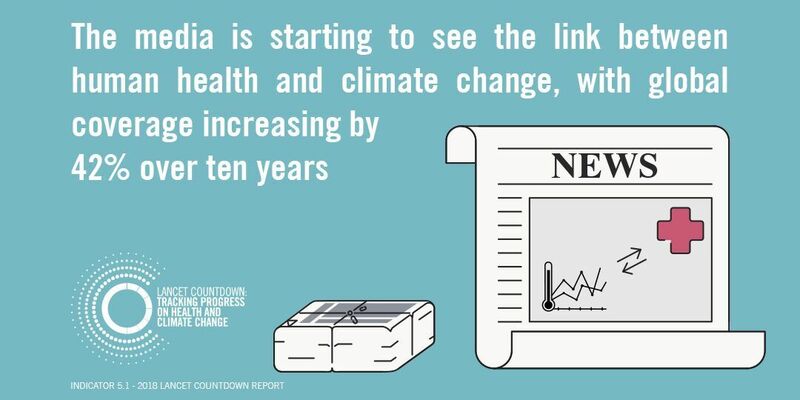 As members of The Lancet Countdown: Tracking Progress on Health and Climate Change, partners behind the research include the World Bank, World Health Organization (WHO), University College London and Tsinghua University, among others. The report, which looks at 41 separate indicators across a range of themes, says urgent steps are needed to protect people now from the impacts of climate change. In particular, stronger labour regulations are needed to protect workers from extremes of heat and hospitals and the health systems we rely on need to be better equipped for extreme heat so they are able to cope. But the report also stresses that there are limits to adapting to the temperature increases, and if left unabated, climate change and heat will overwhelm even the strongest of system, so the need for reducing greenhouse gas emissions is critical. 2018 has been an even hotter year in many parts of the world and the World Weather Attribution Study for N Europe showed this summer’s heat wave was twice as likely to have happened as a result of man made climate change. 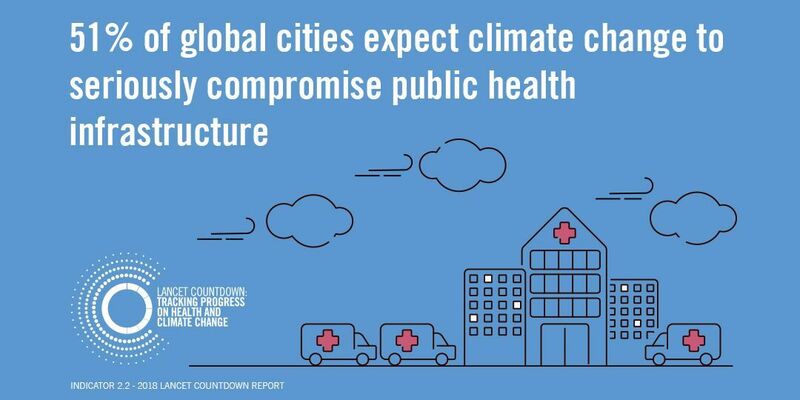 With 51% of the 478 global cities surveyed in the report expecting climate change to seriously compromise their public health infrastructure, the need to ensure health systems, hospitals, and clinics can cope when extreme heat strikes is clear. 65% said they have either already completed or are currently doing climate change risk assessments but spending on climate adaptation for health is estimated to be just 4·8% (£11·68 billion) of all adaptation spending which is woefully inadequate, the report warns. Other findings of the report include: for the first time, deaths from air pollution by source attribution, with coal accounting for approximately 16% globally; a new indicator mapping extremes of precipitation that identifies South America and southeast Asia among the regions most exposed to flood and drought and, on food security, the report points to 30 countries experiencing downward trends in crop yields, reversing a decade-long trend that had previously seen global improvement. Yield potential is estimated to be declining in every region as extremes of weather become more frequent and more extreme.